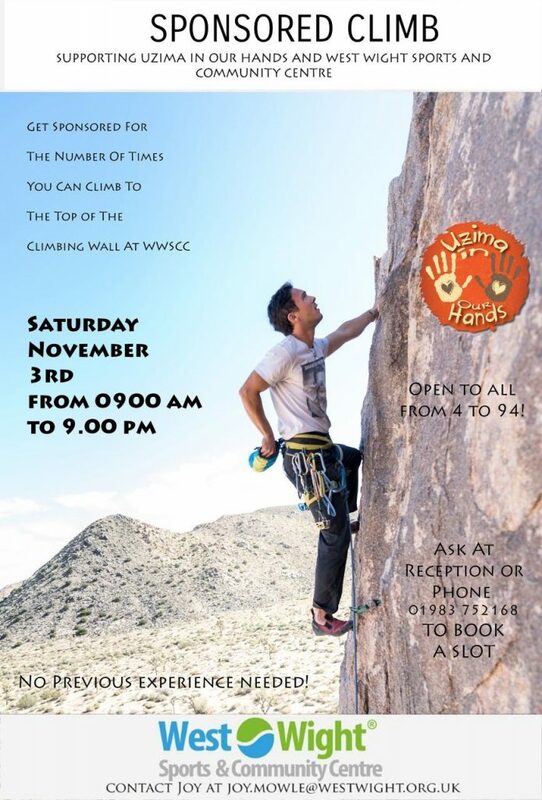 A sponsored climb is taking place on Saturday 3rd November from 9am to 9pm supporting Uzima in our Hands, an Isle of Wight based charity which supports Uzima Orphanage in Kenya. Sponsorship money from the event will be split between us and the charity. To take part, simply sign up and get sponsored for the number of times you can climb to the top of our climbing wall. No previous experience needed and open to all from 4 to 94!